Regenerated cellulose fibers are produced using two industrially dominant technologies: the viscose and lyocell processes. Here, we compare commercially available fibers, prepared using the viscose and lyocell processes. Single fibers are subjected to a variety of mechanical deformations to obtain stress–strain, stress relaxation and stress recovery data. These are fitted to a phenomenological model, whose parameters are interpreted in terms of the fiber semicrystalline microstructure. This simple model does not incorporate the complexities of semicrystalline microstructure. Rather, it represents structure in a semicrystalline polymer fiber in terms of an elastic crystalline phase that coexists with a viscoelastic Voigt-like glassy amorphous phase. Lyocell fibers are characterized by higher values of crystalline modulus relative to viscose. Lyocell fibers also have a higher amorphous phase modulus and a wider relaxation spectrum than viscose, suggesting that amorphous and crystalline phases are dispersed in close connectivity in lyocell. Viscose and lyocell fibers exhibit qualitative similarities in their mechanical response. On stretching, there is a transition in the stress–strain curve from a low strain elastic response at a critical value of strain. This critical strain has been incorrectly attributed to yielding of the fiber. We establish that this critical value corresponds to an apparent yield. When subjected to strains higher than this apparent yield point, the fibers develop a memory of the mechanical deformation. This memory decays slowly, logarithmically with time and is lost over about a day as the fiber structure transitions back to the original as spun fiber. Finally, we demonstrate that on wetting the fibers with water, there is an increase in the apparent yield strain for viscose fibers, but not for lyocell. We interpret these results in terms of the semicrystalline microstructure of the fibers. AS acknowledges Aditya Birla Science and Technology Company for funding. We dedicate this manuscript to Prof. VA Juvekar who has just superannuated as a professor of chemical engineering at IIT-Bombay, India. Prof. Juvekar was and continues to be an inspirational teacher, with a unique ability to simplify difficult topics in his lectures and research talks. In more recent times, we have interacted with him as a professional colleague and have had the privilege of sharing his delight in solving research problems in soft matter science and engineering. 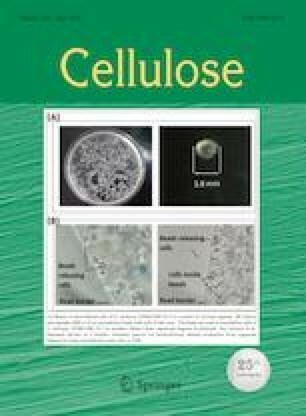 Prof. Juvekar has worked on structure formation in regenerated cellulose fibers in the recent past. Therefore, we felt that it was especially appropriate to dedicate this manuscript to him.